Metasploit is well know penetration tool , for me its one of my all time favorite tools for penetration testing . 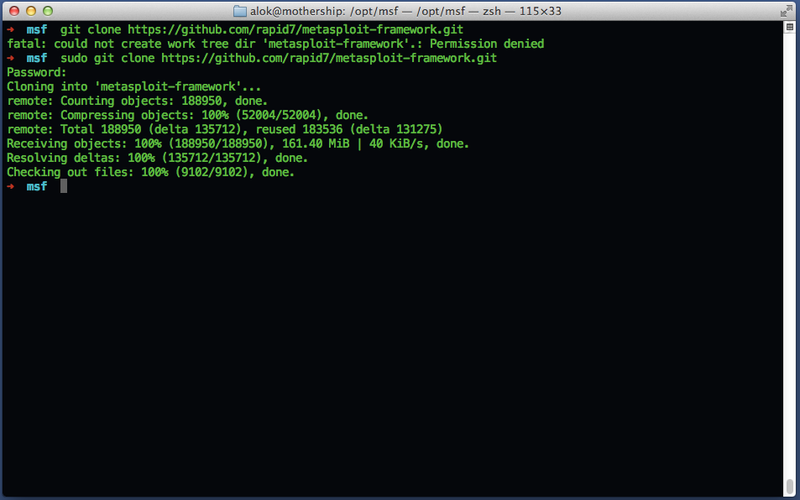 In this tutorial i will show you, how to install Metasploit Framework in MacOSX 10.8.3 with all dependencies . done now you can use metasploit framework in your mac .